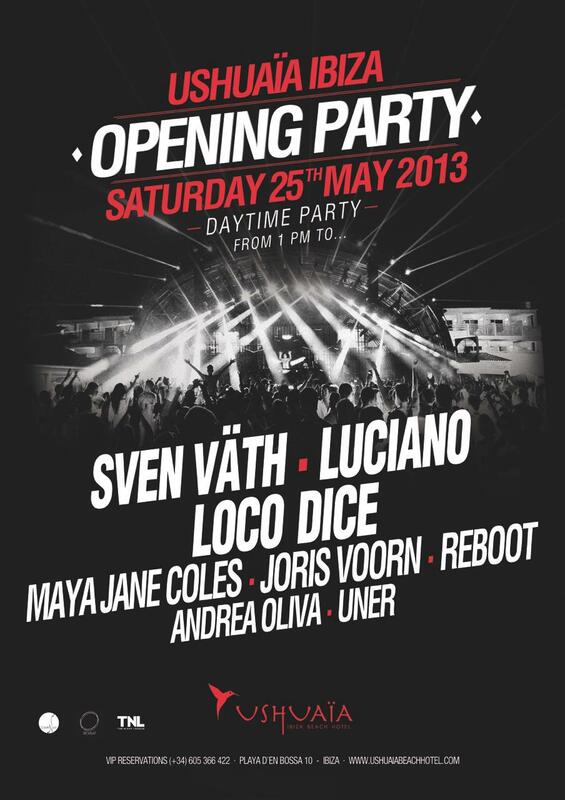 Ushuaïa Ibiza Beach Hotel opening this summer falls on May 25th and starts at 1pm...! With Luciano, Sven Väth, Loco Dice, Reboot, Andrea Oliva, Maya Jane Coles, Joris Voorn & Uner! !